Fred Korematsu, whose fight against internment led all the way to the Supreme Court — and who later warned of acting against groups due to their race or religion — is being honored by several states today. He died in 2005. "Korematsu was born in Oakland, Calif., but his U.S. citizenship didn't keep him from being arrested for refusing to be relocated to an internment camp in 1942. He challenged his arrest in court, and two years later the case made its way to the Supreme Court. "Korematsu challenged the constitutionality of Executive Order 9066, the decree that forced the relocation of people of Japanese descent to internment camps. The court ruled in favor of the government and against Korematsu in what is now widely considered one of its worst decisions. The majority of justices claimed the detentions were not based on racial discrimination but rather on suspicions that Japanese-Americans were acting as spies." In 1983, the U.S. District Court in San Francisco formally vacated Korematsu's conviction. At the time, he told Judge Marilyn Patel that instead of a legal pardon, he wanted to be assured the U.S. government would never again take such an action. "If anyone should do any pardoning," he said, "I should be the one pardoning the government for what they did to the Japanese-American people." Over the weekend, the civil rights hero's daughter, Karen, who leads the Fred T. Korematsu Institute, told member station KQED that she didn't know of her father's stand until she learned about it in high school. "He simply said it happened a long time ago and what he thought he did was right and the government was wrong, and I could just see this hurt go over his face," she told KQED. She added, "Why should he go to a prison camp when there were no charges, there was no day in court, there was no access to an attorney?" A welder whose family ran a flower nursery in California before they were forced to leave and live in a Utah camp, Korematsu died in 2005. Since then, several states have enacted laws to celebrate his birthday, Jan. 30. 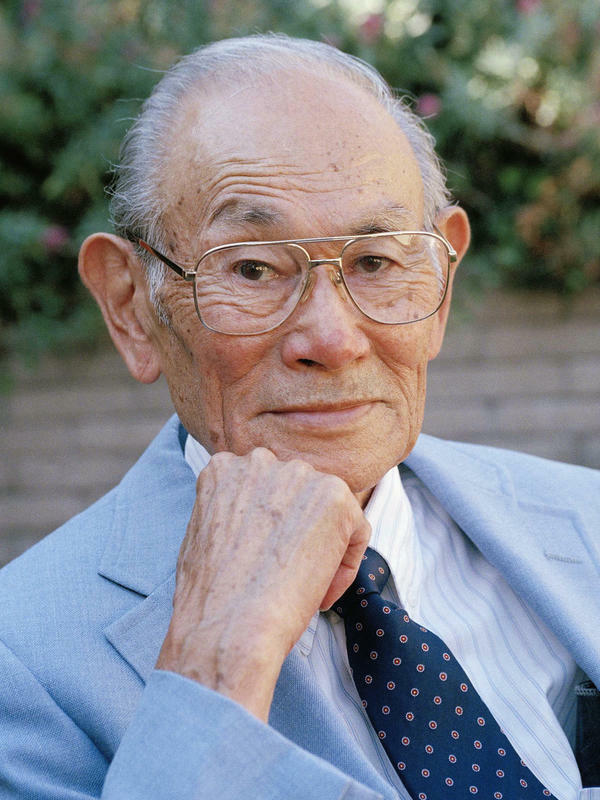 California was the first state to adopt the Fred Korematsu Day of Civil Liberties and the Constitution. Signed by then-Gov. Arnold Schwarzenegger, the 2010 law recognizes "the importance of preserving civil liberties, even in times of real or perceived crisis." When he awarded Korematsu the Presidential Medal of Freedom in 1998, President Clinton praised him for being someone whose stand for civil rights helped the lives of millions of Americans, comparing him to names on landmark civil rights cases such as Brown v. Board of Education. But as The Atlantic has noted, the Supreme Court's Korematsu decision "belongs to what legal scholars describe as the anti-canon of American constitutional law — a small group of Supreme Court rulings universally assailed as wrong, immoral, and unconstitutional. Dred Scott v. Sandford, Plessy v. Ferguson, Buck v. Bell, and Korematsu form the anti-canon's core; legal scholars sometimes include other decisions as well."